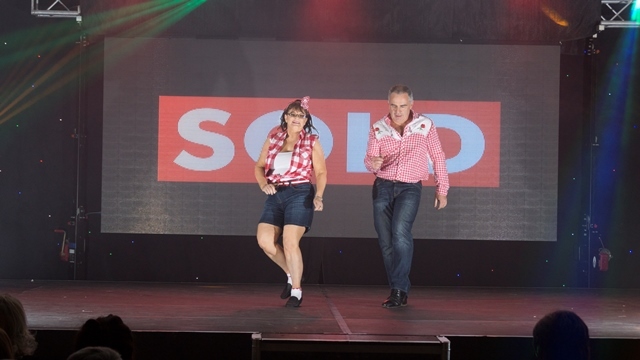 Hospice Does Strictly – Country Style! 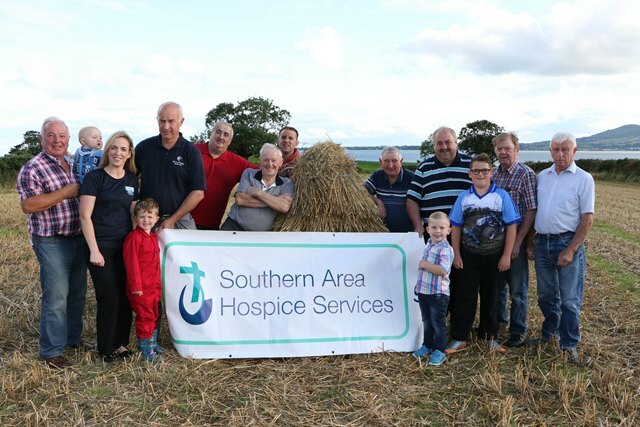 20 October 2017 Southern Area Hospice Services are delighted to announce that tickets are now on sale for their upcoming fundraising event, ‘Hospice Does Strictly – Country Style’, which will take place in Armagh City Hotel on Saturday 11th November 2017. 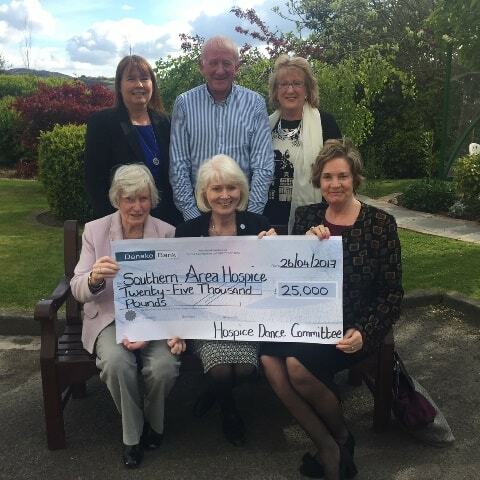 22 September 2017 Southern Area Hospice Services has welcomed a new partnership with Citizens Advice Newry, Mourne and Down. 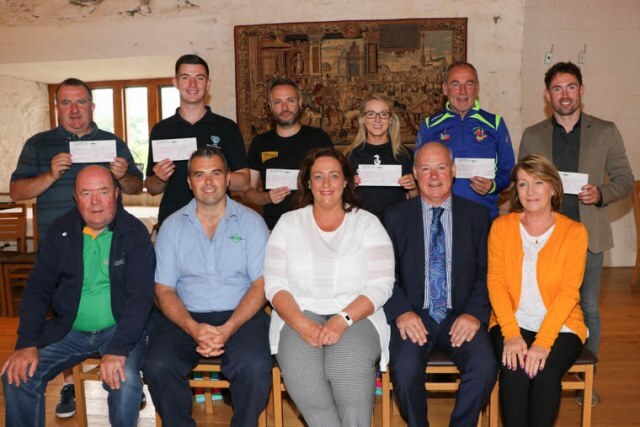 21 August 2017 On Sunday 2nd July the O’Reilly family from Hilltown held a Sponsored Walk around Castlewellan lake in memory of their father Mr Peter O’Reilly. 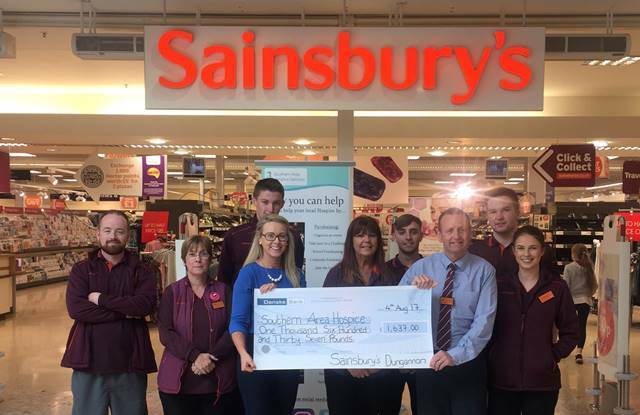 8 August 2017 Sainsbury’s Dungannon has officially launched a partnership with its new Local Charity of the Year, and have adopted the “Southern Area Hospice” for the second year running. 4 August 2017 Rostrevor & District Vintage Club are getting prepared for their Annual Threshing Day which will take place on Saturday 19th August in Killowen. 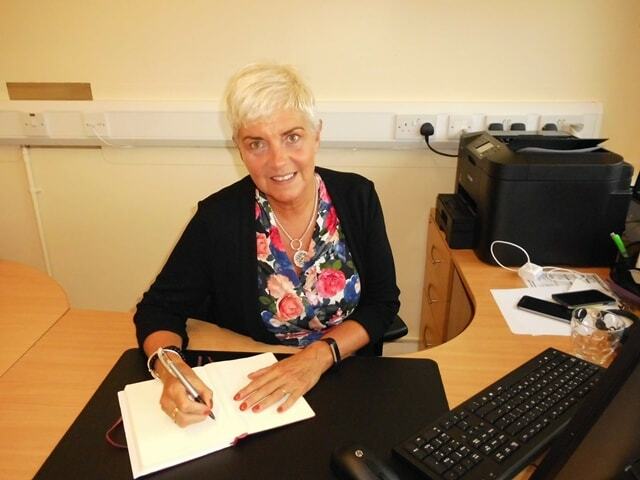 31 July 2017 Councillor Gillian Fitzpatrick, former Chairperson of Newry, Mourne and Down District Council has presented £18,450. 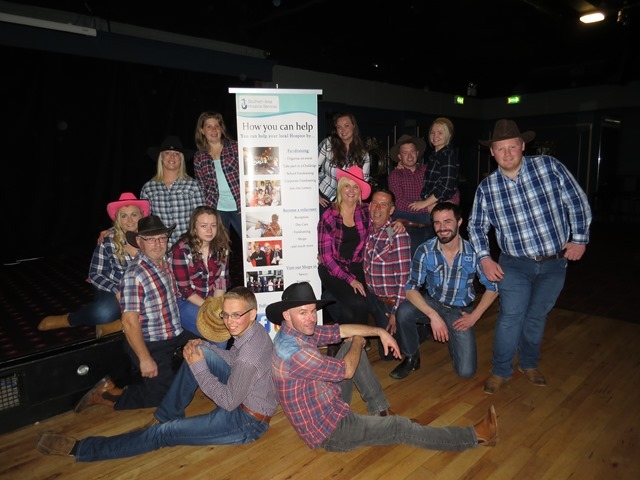 28 July 2017 Southern Area Hospice Services are on the lookout for dancers to take part in ‘Strictly Goes Country’, which will take place on Saturday 11th November 2017 in Armagh City Hotel. 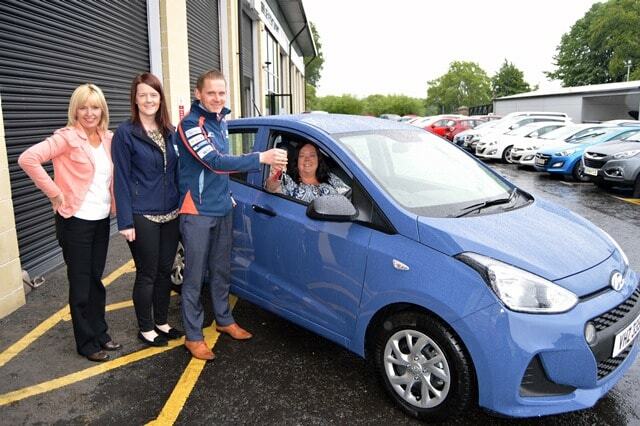 27 July 2017 Dawn Rhodie from Armagh was the lucky winner of Southern Area Hospice Services ‘Win a Hyundai i10’ Car Raffle which was in association with Saltmarine Cars and the Oaks Centre in Dungannon. 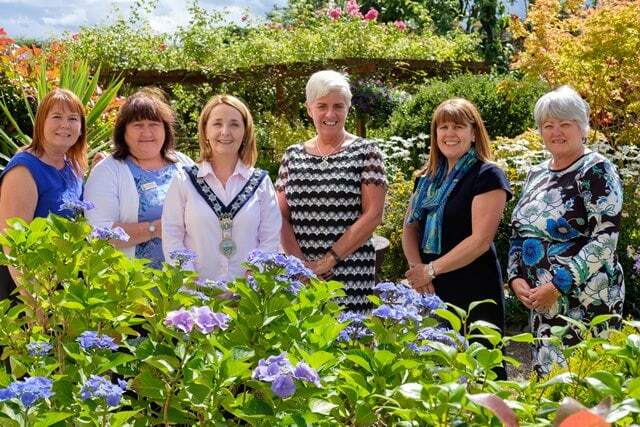 25 July 2017 Southern Area Hospice Services welcomed Chairperson for Newry, Mourne and Down District Council, Roisin Mulgrew to visit the facilities at the Hospice and meet with staff and patients. 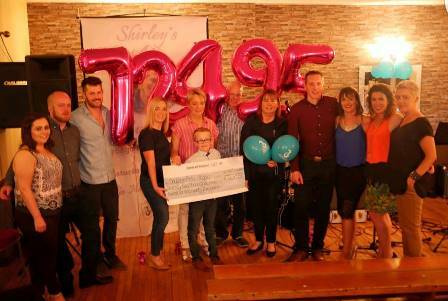 24 July 2017 The Curry family from Middletown have raised a phenomenal £72,495 for Southern Area Hospice. 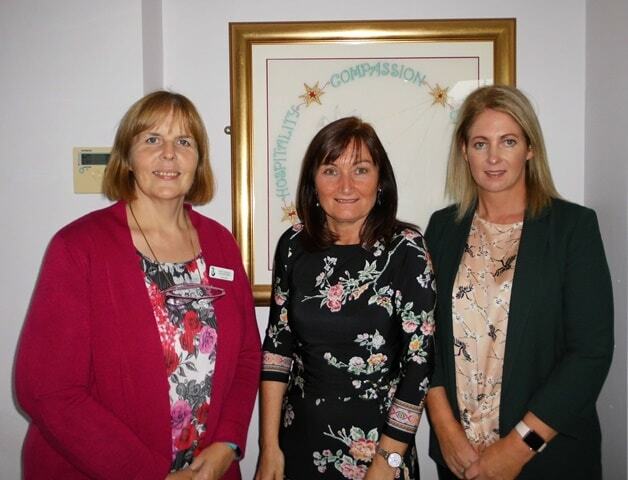 5 July 2017 Southern Area Hospice has announced the appointment of its new Chief Executive, Liz Cuddy, who will take up the position from Ann Cooney who is retiring from the role. 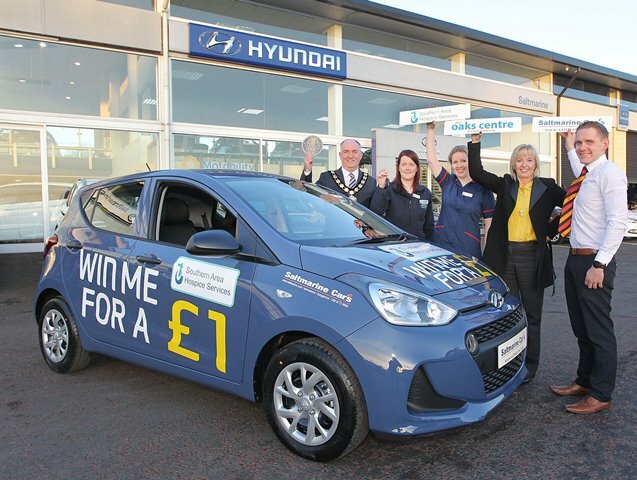 19 June 2017 Southern Area Hospice are encouraging local people to come along and join the Q Radio team at The Oaks Centre, Dungannon for the Hospice Car Raffle Draw & Family Fun Day on Saturday 24th June 2017. 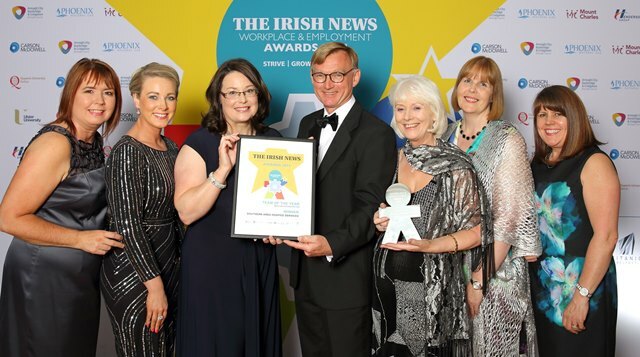 9 June 2017 Southern Area Hospice Services were delighted to be awarded ‘Team of the Year’ at the Irish News Workplace and Employment Awards which were held in the Titanic Building, Belfast on Thursday 8th June. 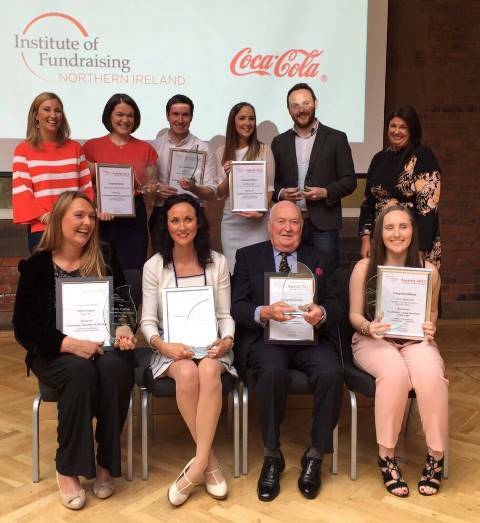 8 June 2017 Congratulations to Hospice life-long friend and supporter, Mr John Dalzell MBE who has picked up two prestigious awards for his contribution over the past 25 years to Southern Area Hospice Services. 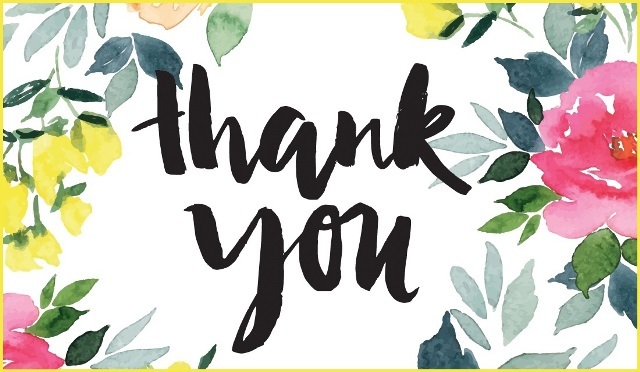 31 May 2017 Southern Area Hospice Services would sincerely like to thank everyone who supported their recent street collections in the Armagh area. 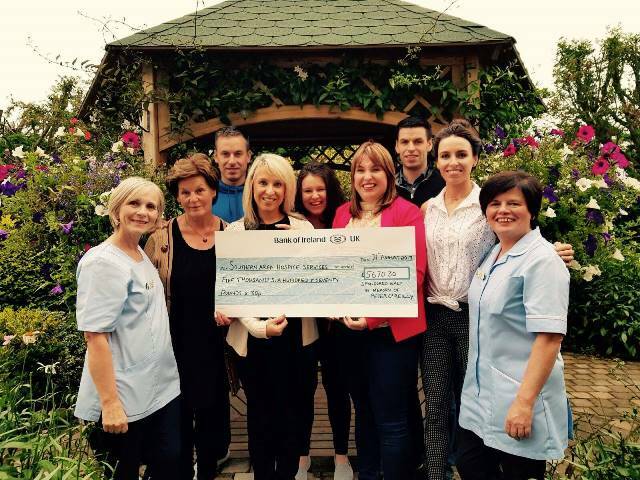 1 May 2017 Hospice Dinner Dance Committee has raised a fantastic amount of £25,000 after their 47th Annual Hospice Gala Ball on 3rd March in the Canal Court Hotel & Spa. 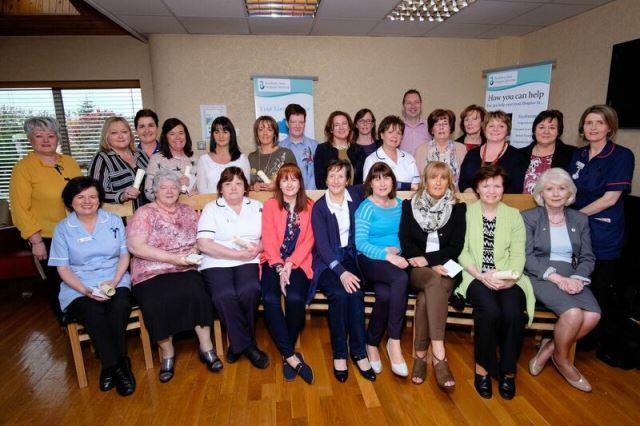 24 April 2017 Southern Area Hospice Services held a ceremony on Friday 21st April to mark the celebration of staff who have been with the organisation for 15 years, 25 years and 35 years. 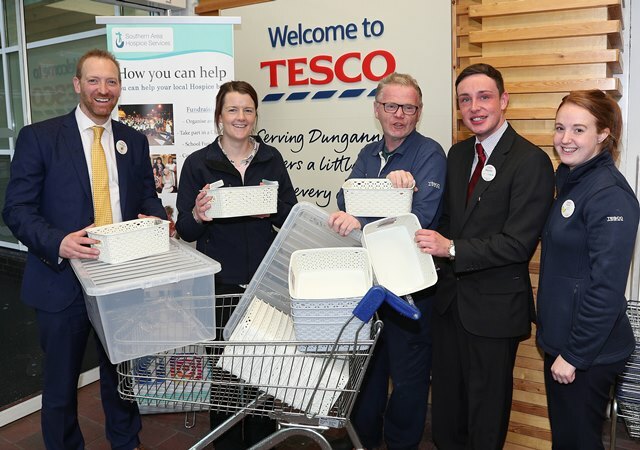 Southern Area Hospice Services are delighted to announce that their monthly Car Boot Sale is set to move to a brand new venue this month.